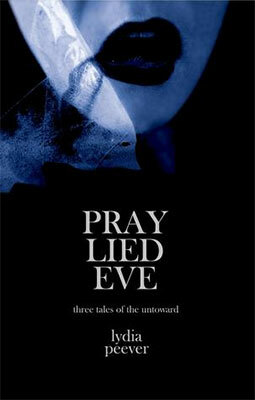 Pray Lied Eve is a tiny short story collection you should really dive into provided you’re not scared of the dark. The book contains “three tales of the untoward” (Everyday, Shrinking Dwell and Bad Shepherd) and however unusual the word “untoward” seems, believe me, it fits. In each story, the main character appears to indeed progress somehow, though not quite in any “direction”: they seem to head wherever you’d be heading if the ground was collapsing under your feet and you were falling slowly, like Alice in the rabbit hole, down into the darkness. My favourite aspect of the book was its special focus on the characters. Each story follows one and one person only. The first story, Everyday, takes place in a young woman’s house. Kaia has been living here for a while when one day, she finds fingerprints on and around the basement door. After cleaning them, the prints come back. Several times. The setting is so everyday life: Kaia’s house is as ordinary as it can get (ok, not everyone keeps a scarecrow in their basement, but you get the point) and her issue is downright trivial: dark finger prints on and around a white door. It’s a simple, unspectacular and very relatable premise: you feel right at home. Very soon, you’re in the shoes of Kaia and the fingerprints are on your basement door. And you’re pretty much starting to think: shouldn’t we leave the house now? It continues in the second story, Shrinking Dwell: Connor is an ordinary man living in an ordinary neighbourhood. He may be the only person who would acknowledge the giant ice balls crashing into his street every couple of weeks, but away from that, he’s the guy next door. Who doesn’t know someone with an intriguing fascination for a seemingly trivial phenomenon? Shrinking Dwell pushes it further and emphasizes on how fascination can isolate you. It’s about how a weird little phenomenon first intrigued you, then crept on you, empty the world around you and finally swallowed you all. Paced like a thriller, this short story nicely played with the idea of obsession. I loved it. Finally, the last story, Bad Shepherd, dives into urban fantasy and features some gory scenes (you are warned) although it’s also very close to a folktale: it starts with a little girl encountering a speaking snake stuck in her kitchen’s breadbox. Once again, the settings is quite ordinary: Laurel is living on a farm with her grandma. There’s a kitchen, a breadbox, some knocking sounds. Away from the speaking snake, nothing special. Once again, solitude surrounds the main character. Once again, she will hopelessly move (or be moved?) towards what seems to be inevitable. Bad Shepherd has something to say about discovering who you are and what’s your call in life, even though you might not like the answer. Pray Lied Eve is a great, riveting book. I loved the close-up on each character and the very simple, ordinary premises that slowly rises to a higher, scarier level. I should also mention Lydia Peever’s writing style, fast paced and running forward, as if in perfect sync with every move of her characters. It really pulls you into the story… and won’t let go of you. Recommended to all horror lover!